These pages record some of the highlights of the history of The Nautical Almanac and Astronomical Ephemeris through two and a half centuries. It also describes the formation of The Nautical Almanac Office (NAO) in 1832, now known as Her Majesty's Nautical Almanac Office (HMNAO) which has the responsibility of producing these almanacs and other related services. 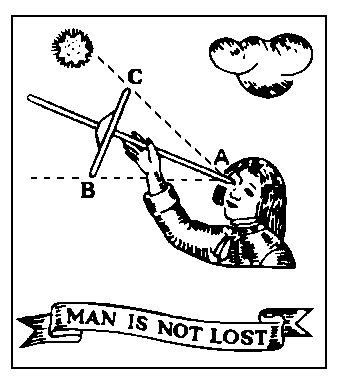 Today, The Nautical Almanac, used to find ones position from observations made using a marine sextant, and The Astronomical Almanac, the replacement of The Astronomical Ephemeris are joint publications of HMNAO and the Almanac Office of the U.S. Naval Observatory. The navigation links across the top, duplicated at the foot of each page, links to the particular section of the Contents, from where there are individual links to each section. The arrows to the right and left link to the next/previous page chronologically.